All of our beaches tend to have their own personality and attract people looking for different styles of fun. Let’s start at the North and work our way down. The most well known beach in our area is easily Clearwater Beach. 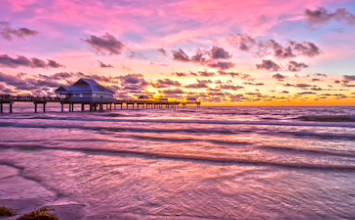 Clearwater Beach has been named the number one beach in all of the U.S. for multiple years, including 2018. Tourists flock from all over the nation to see why this beach is so great! There are hundreds of activities and restaurants to choose from but the main draw is the pristine beach and crystal clear water. During your time in Clearwater, Frenchy’s Rockaway Grill is a must! Frenchy’s offers guests a wide selection of fresh seafood. While everything on their extensive menu is delicious, a crowd favorite is their famous grouper sandwich, prepared six different ways! Each is more delicious than the last! Enjoy open air, beach front vibes and take in the stunning sunset views while you’re there. The vibe of Clearwater Beach is busy, fun, and upbeat. There are always a lot of happy tourists exploring, drinking, and playing. Don’t worry! No matter how many people happen to be there, Clearwater Beach is large enough that the beach itself never feels crowded! A favorite local and tourist haunt is the Original Crabby Bill’s. While not located on the beach, the Original Crabby Bill’s is just across from the beach and always worth a visit! Be prepared to feel like a member of the family! Everyone is warm, welcoming, and just looking to have a great time! You will find some of the best live music during your time there! Enjoy a variety of seafood while you’re there but make sure you don't miss out on their specialty….. crab! Especially stone crab if it is in season! Indian Rocks Beach is one of the most laid back, down-to-earth, and chill beaches our area has to offer. Enjoy the welcoming atmosphere that locals love! Known by many as Mad Beach, Madeira Beach is a very popular tourist attraction. Legend has is that the first European to settle this area was a pirate by the name of John LeVique. While many tourists flock to the white sand beaches of Maderia Beach, many also head over to John’s Pass, named for the aforementioned pirate who discovered the area. John’s Pass is located across the street from the beach on the intracoastal water. 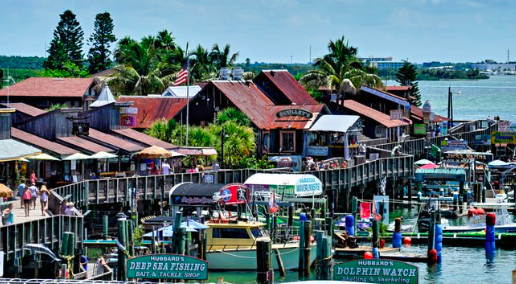 This village and boardwalk gives people a choice of water sports, boat tours, restaurants, shops, and fishing trips. Dine at big names such as Hooters or Bubba Gump Shrimp or enjoy some local flavor at the Boardwalk Grill. Boardwalk Grill is famous in the area for having the freshest seafood available! The grouper is brought in daily and you can taste the freshness. The restaurant itself is very small and casual but worth the wait if it is busy. Madeira Beach offers fun for the entire family with easy access to John’s Pass. A happy mixture of locals and tourists, a small fishing village vibe, and a lot of fun, Mad Beach has a little bit for everyone. Perhaps one of our favorite stories to tell is how Treasure Island was named! The story is that an early hotel owner buried treasure chests on his property and later “discovered” them, claiming they were filled with treasure. Predictably, the news spread very quickly and people began calling the Island, Treasure Island. The name stuck and here we are! Today’s tourists don’t hope to find buried treasure when visiting, rather they hope to make treasure memories on the three mile beach. While visiting Treasure Island, there are plenty of restaurants to visit. 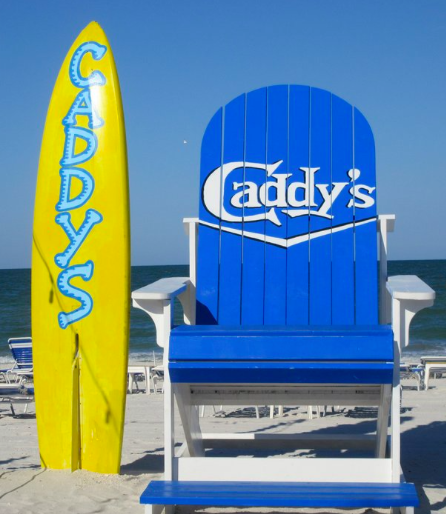 A staple of the island is Caddy’s on the Beach. Caddy’s offers guests the opportunity to drink and dine with their toes in the sand, staring at the water and listening to great music. Savor burgers, seafood, and adult beverages of all kinds. Relax in the open air, beach vibe atmosphere. A fair warning: parking is always an issue at Caddy’s so we recommend catching an Uber to visit this very popular location. Treasure Island gives guests a perfect mixture of relaxation and action! Whether you want to sunbathe in silence or drink and dance in the sand at Caddy’s, there is something for everyone at this gorgeous beach. 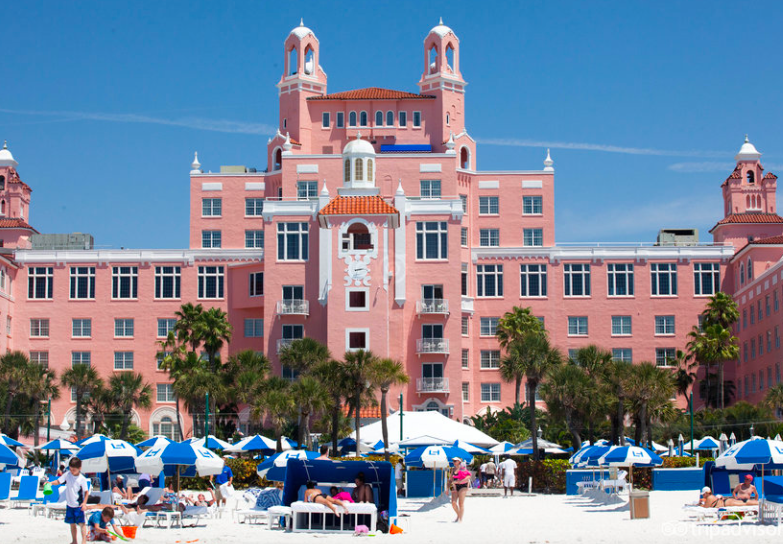 The home of Don Cesar, also known as the Pink Palace, and named one of the top ten beaches in the U.S., St Pete Beach serves guests a magical experience. There are two main beaches on the island; Get in touch with nature at the county’s largest stretch of undeveloped public beach down at Pass-A-Grille Beach. Relax, unwind, enjoy the calm of the beach and the soft breeze. Or you can head to the better known St Pete Beach. 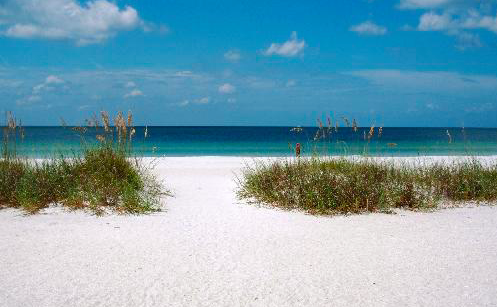 Lined with restaurants, bars, hotels, and condos, St Pete Beach is a lively, fun filled outing. Walk from bar to bar, go parasailing, rent jet skis, or try your hand at windsurfing. During your day at the beach, enjoy the casual atmosphere at Bongo’s Beach Bar and Grille! The food is always excellent and the nightly music is always worth staying around for! While a lot of people love the seafood at Bongo’s, the cuban nachos are the winning dish for us! And there is plenty to share… if you can! The entire restaurant is open air and there are plenty of tables that allow guests to sit with their toes in the sand while dining and relaxing listening to music! After Bongo’s, catch the sunset up on Level 11. This open air, rooftop lounge is right above Bongo’s and gives guests the best view of the sunset available. Perched high above St Pete Beach (on the 11th floor if you gathered…), the panoramic views of the sunset from above are truly unparalleled. The sunset is a very popular time at Level 11 because it truly is the best seat in town so be sure you get there early! So, there you have it. Moral of the story? All of our beaches are awesome and they all have their own unique feel. No matter what kind of beach day you are looking for, one of our white sand beaches will fit your need! Enjoy your day at the beach. Don’t worry! We will be here waiting when you get back!